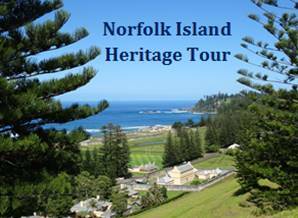 Join Elizabeth for a historic walking tour through the ruins of Norfolk Island's gruesome penal settlement. This guided walking tour, investigates these grand historic buildings that housed Norfolk's high society during the 18th Century, through to the large Pitcairn families. The Kingston and Arthur's Vale Historic Area on Norfolk Island is one of the foremost national examples of a cultural landscape with heritage and social values and is listed on the National Heritage List.